HomeKnowledgebaseWordpressHow can i install a new theme for WordPress? 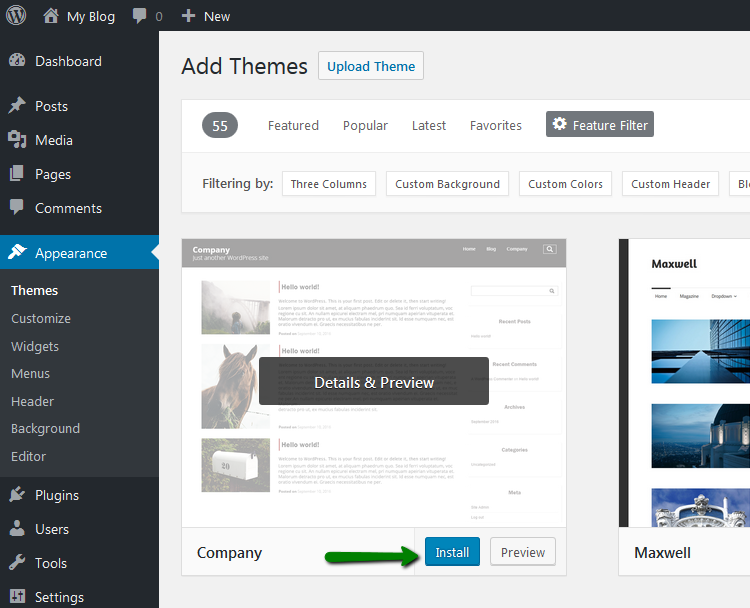 A theme is a fundamental aspect of design if your site is built on WordPress. This is what the development of your website usually begins with. 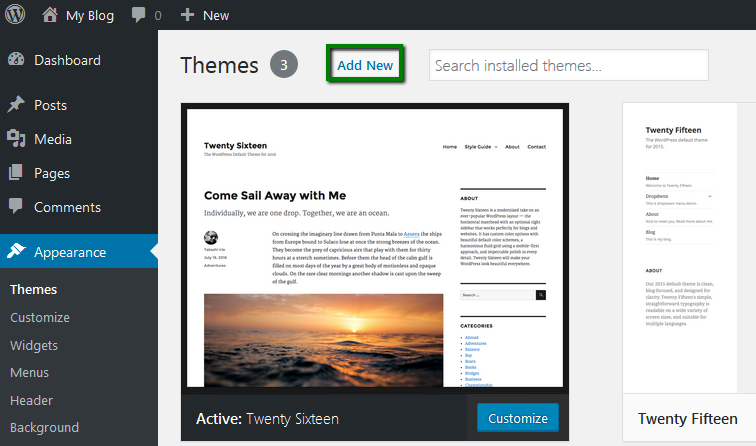 This article contains instructions on changing your WordPress theme in three ways. 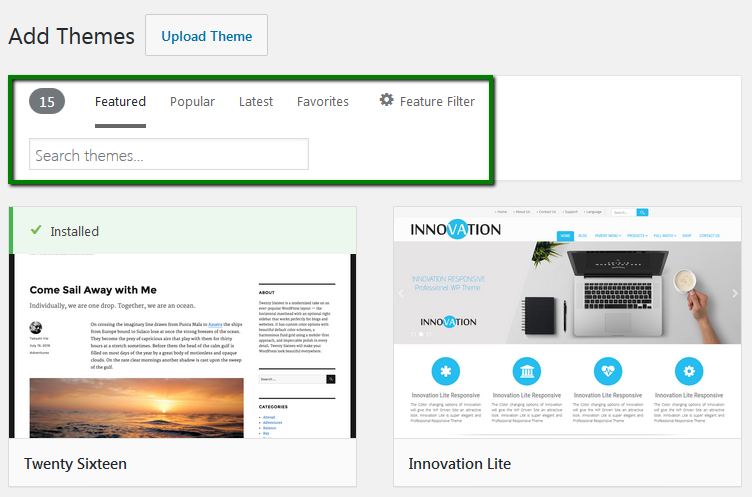 The easiest and the most widely used method is to do that via your WordPress Dashboard. You can log into it usually via http://yourdomain.com/wp-admin. Select Featured, Popular or Latest ones to install. Use built-in Search if you need to find a certain theme. Set certain filters by clicking on Feature Filter. 4. 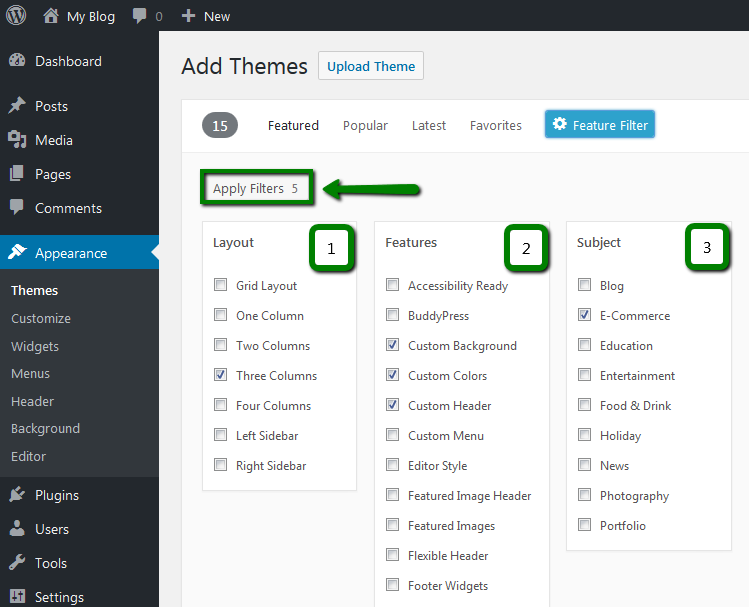 Once the Feature Filter is selected, you will be able to narrow your theme search by checking the necessary parameters you need. 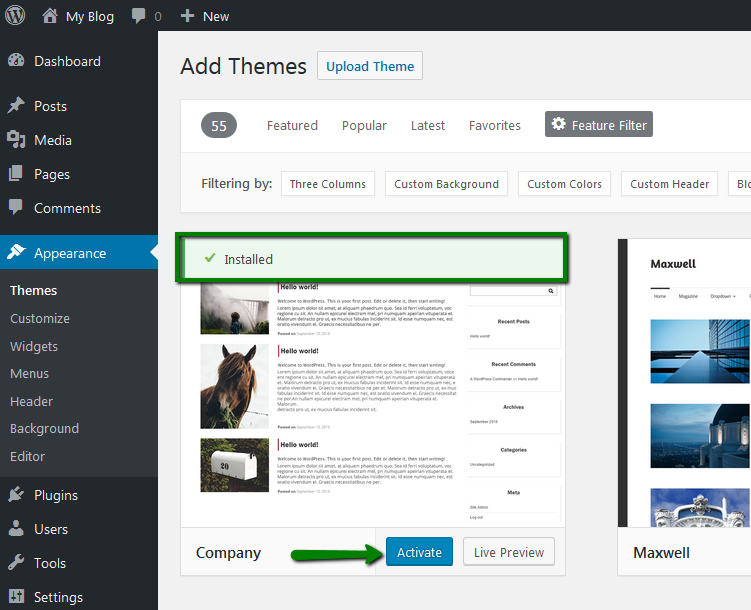 The second way to install a theme on your WordPress website is via the cPanel File Manager. You should have a file of archived theme files on your PC saved beforehand. 4. 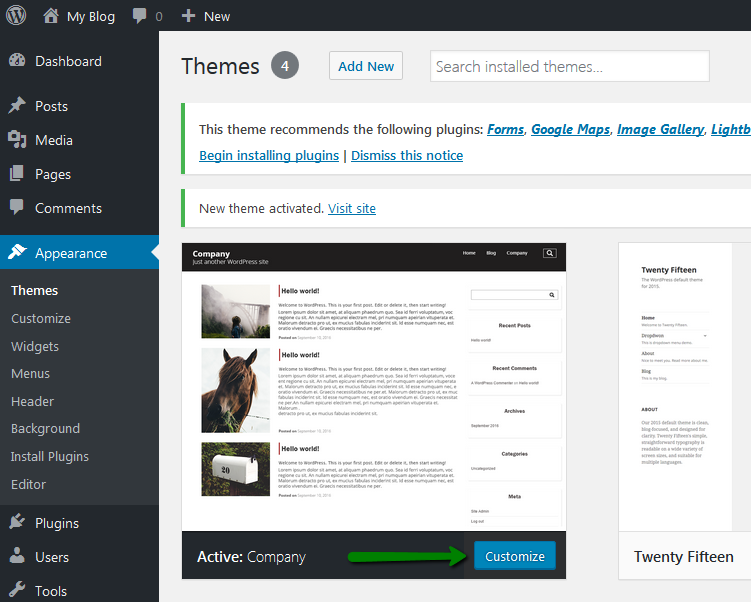 Access your WordPress Admin Dashboard then and navigate to Appearance >> Themes. Find a new theme you extracted and activate it. Another way of switching the theme is usually used in emergency cases. 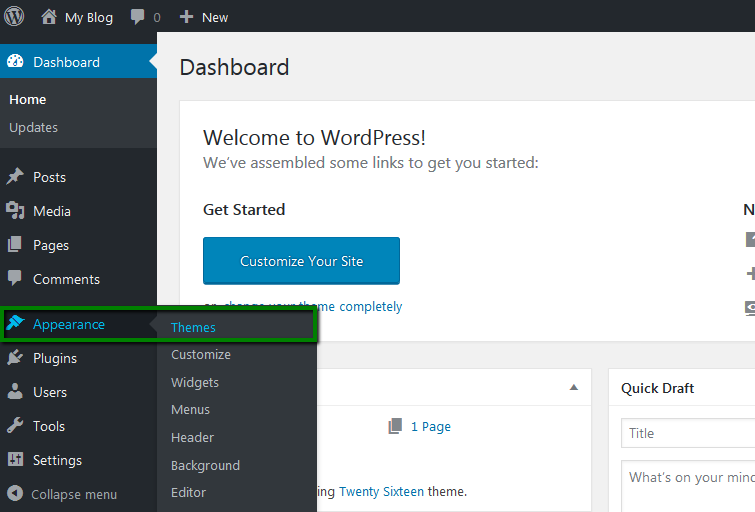 For example, your theme is corrupted or hacked, and you do not have access to your WordPress Dashboard. Such cases can be resolved by switching to a default theme, and as you do not have access to the Dashboard, you need to do that directly in your database. 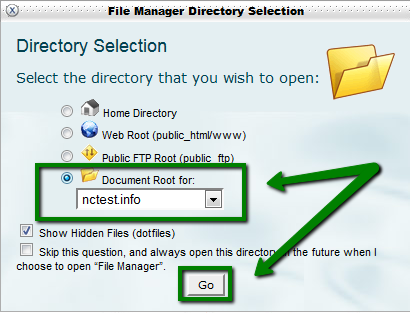 NOTE: You can check what database is used for your WordPress website in the wp-config.php file located in cPanel > section Files > File manager > navigate to the document root of your WordPress website. This will switch your theme to the necessary one.